There is no direct reason to why bullying occurs or no direct answer as to why someone may be targeted. Bullying incidents usually take place during playtime. They either use this time to release energy, catch up with friends or relax and take a rest. 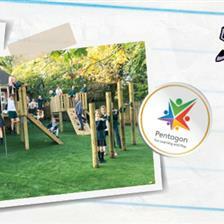 Although bullying happens, there are still thing you can do to your playground to help minimise it. Children are bored and looking for something new and exciting to do. Children like to feel like they are a part of a group/team and for this reason, they will bully or tease those that are different from them, or a part of a different group. The playground is hard to supervise (there may be hidden spaces), making it easier for children to misbehave. Making sure that every child gets the same opportunities and feels equal, is extremely important for maintaining a healthy engagement and development throughout each school day. Children need an environment where they feel comfortable to mix and communicate with each other. Bullying on the playground can have many effects on the victims both on the playground and during lesson times. For example, children may begin to lose focus during lesson activities, leading to reduced academic results. The victim’s confidence to share ideas and creativity both indoors and outside on the playground, can suffer significantly. Due to this lack of confidence, they may also find it hard to trust others and form friendships in the future. 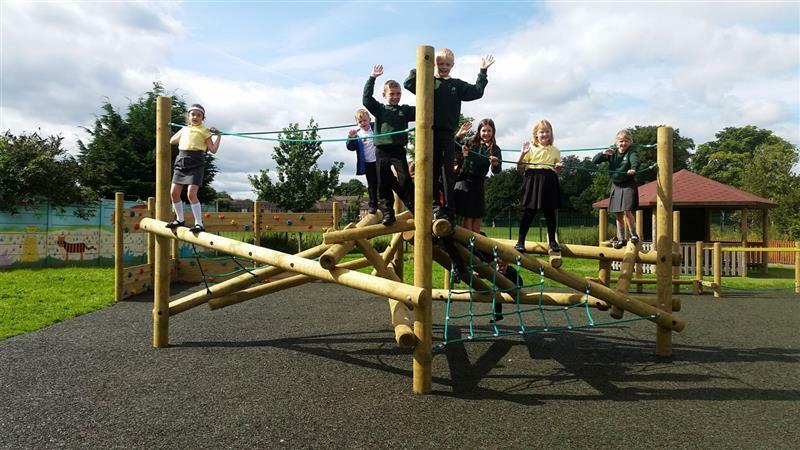 With over 18 years of experience in the playground industry, we know exactly how to design and create a playground that will help to minimise bullying during the school day. Begin to develop children during early year’s foundation stage. Understand the importance of sharing ideas, thoughts and feelings while completing a successful group activity. Take turns in sharing roles and resources. Develop an understanding of other children’s emotions and reactions to playground situations. 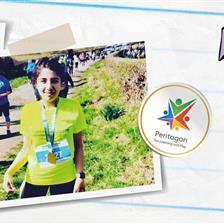 To adopt healthy competition with others. Children like to feel like they are a part of a group, and may tease or bully those that are not part of theirs. Therefore, it is important to integrate children and get them to work with different individuals in all types of activities to try and develop relationships between all children. Messy Play resources are always a favourite with children. It exposes them to the different textural experiences that water, sand and mud exhibit. A Water Table is one example as it brings children together to problem solve and take part in activities. With more than one Water Table in the same environment, you could set tasks such as transferring water from one table to another. It will naturally encourage teamwork as the children take it in turns to fill, pour and transfer the water across. A great way to build communication and a sense of unity within the classroom. The water will also bring a calming effect to the atmosphere to ensure each child feels relaxed in the presence of others. 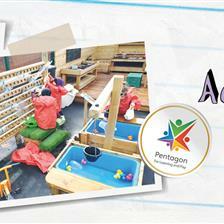 Adding to this, there are many imaginative themed play possibilities that children can enjoy taking part in together. Everyone grab a ship… let’s conquer the mighty sea together! A Mud Kitchen is a fantastic resource because there are no boundaries to what fun activities a child can imagine or create. Children can easily connect and play confidently within a Mud Kitchen because any creative idea can be put into practice. Give the children a task of putting on a special 5 course meal for a school TV Show, (or however many children there are). Each child will then get the opportunity to create and present their own muddy treat which will help to build self-confidence and appreciation for others. Confident children are normally more dominant and naturally take lead roles during play. It is vital to show your children the importance of team work as well as turn taking to give everyone a fair opportunity with different learning experiences. Allocate each child a specific short burst role around the kitchen. Then each child must switch to a different role every 5 minutes. This creates a fun team game and ensures each child has a go at every task that was set. Every mud pie or cake created will have been an overall team effort and the children would have had fun making it together. 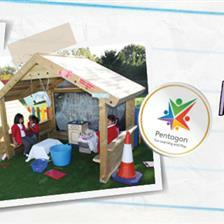 Take a look at some excellent messy play equipment for your school here. One problem that occurs for teaching staff during break times is that it can be difficult to supervise the entire playground due to hidden areas. It may be difficult, but getting as many staff out as possible interacting with the children will help provide supervision for all children. Providing a staff member with authority, will offer someone for children to speak to as well someone that can offer some inspiration for fun group playground activities. Creating specific zoned play spaces that target different learning challenges, is one of the best ways to help minimise bullying. Zoned play helps teachers supervise play times. It also means there will no longer be a mad rush of children across the entire playground. A schedule can also be put in place to help teachers passively manage playtimes because different groups/classes can enjoy playing in specific zones at different times. 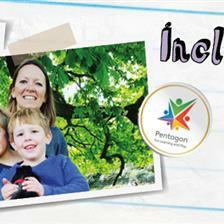 This helps supervise specific children in each area and makes it easier to spot and target any issues that may arise. Then either swap the groups around or create activities to engage the entire group during playtimes. Zoning should also provide each child with at least one space that they look forward to playing in during playtime. From this, children can then combine their enjoyment for their favourite area with others, building relationships and confidence to express and share what they have been learning. Teachers will be able to build the confidence of the children and fill them with ideas and inspiration to for outdoor activities during break time. It’s always good to encourage ideas before children head outside. Currently our school’s accident book has X number of entries each week and our school’s average attendance is X%. All the evidence from our customers, shows that a better playground reduces accidents, improves attendance AND reduces bullying! Along with the fantastic amount of experience our teams have in education, we have a huge range of outdoor playground resources that target group play which if used correctly, can stop children being targeted for bullying. 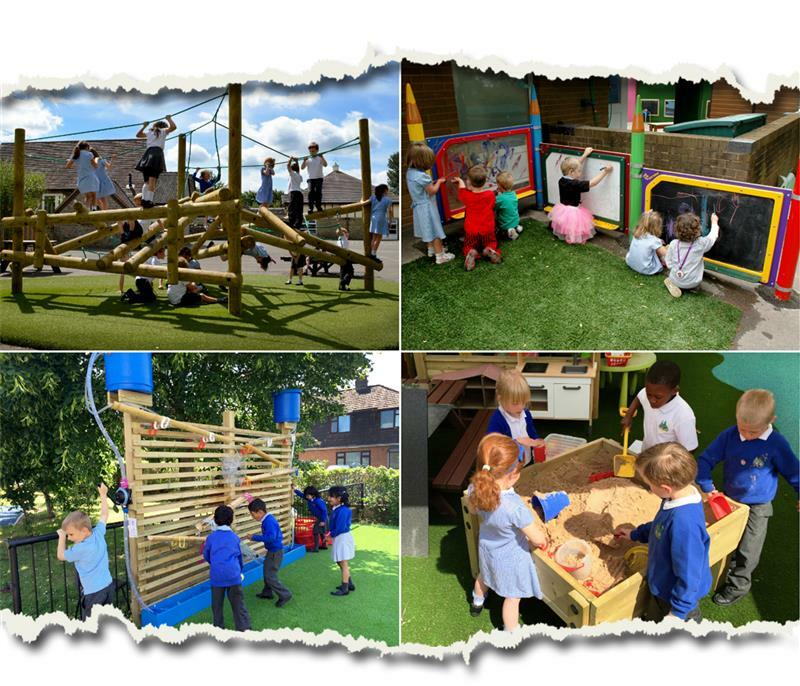 We have many outdoor resources that are fantastic for bringing groups of children together in both play and work to help build relationships, break down barriers and overall, create a better classroom and school environment. If you’re interested to find out more about how we can help develop your playground to minimise bullying and help bring children together, simply Contact Us through the website.